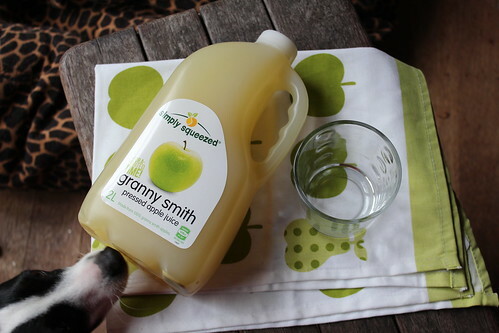 I love love love single variety apple juice. I imagine (pretend) as I am drinking it that I can taste the individual nuances of apple flavours. 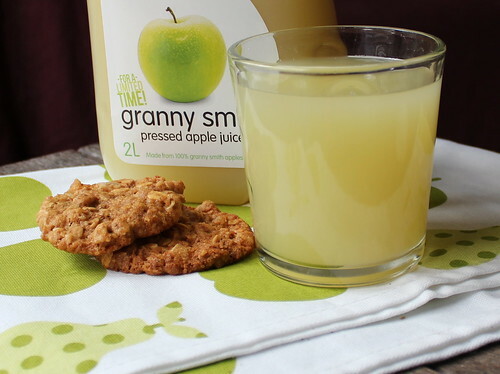 Well, there is no pretending with this Granny Smith apple juice. The inside of my cheeks water and pucker just like they do when I eat a Granny Smith apple. I had a photo bomber today – he was very interested in what I was up to. Especially when there was cake and biscuits at his eye (nose and tongue) level. This is the second bottle of juice we’ve bought. 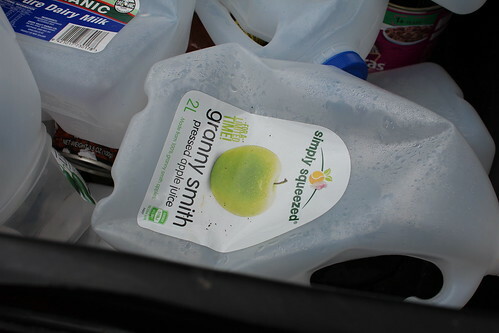 The first I bought for the purposes of this blog but the bottle appeared in the recycling bin before I realized it was even open proving it is appreciated by someone in our house.